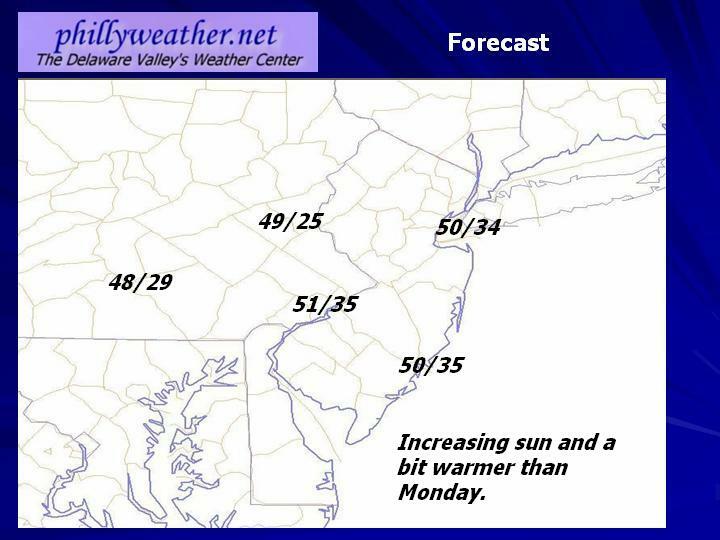 For the region on Tuesday, expect increasing sunshine and slightly milder conditions as a result. 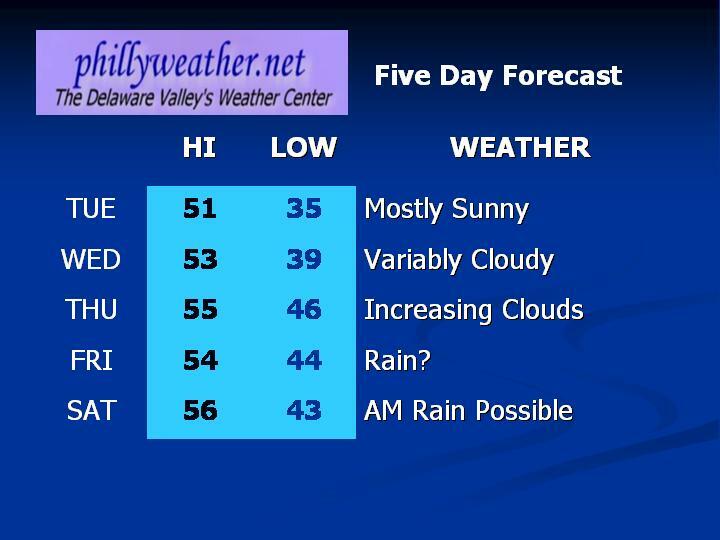 High temperatures along I-95 and east will be near 50 with cooler temperatures to the west of the city. It should feel a touch warmer than the past couple of days mainly because of additional sunshine. 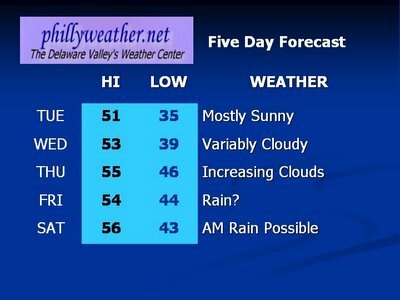 Rain continues to look possible in the forecasts for Friday and could be moving into the Philadelphia region as early as Thursday evening. A coastal low has spun up off of the Carolinas and could drench Wilmington, NC, with as much as a foot of rain. The coastal low will be slow to move until Thursday when it will inch more rapidly to the NNE. Clouds will spread up from the south during Thanksgiving Day but most of the day should be dry. Once the low leaves the area late Friday night, the weekend weather should be pretty nice with partly cloud skies and temperatures around normal.